I, Daniel, was worn out. I lay exhausted for several days. Then I got up and went about the king’s business. I was appalled by the vision; it was beyond understanding. 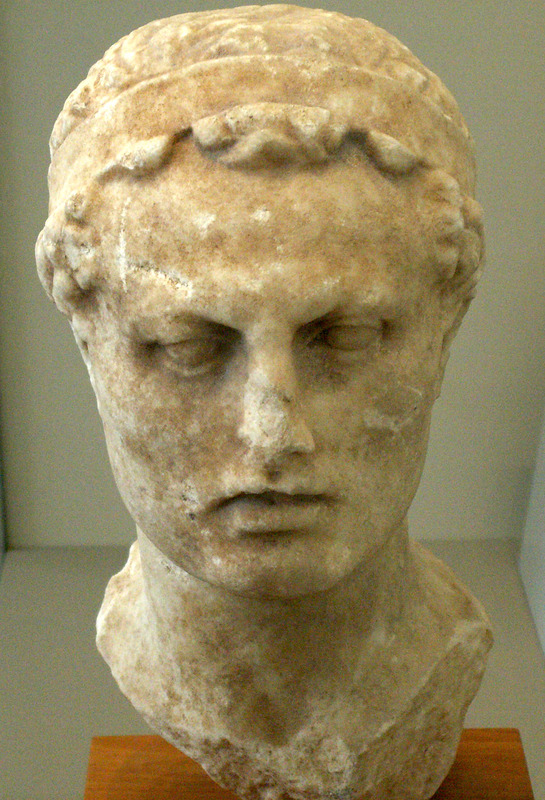 That king was Antiochus Epiphanes (the name he gave himself which means “God Manifest”), a Seleucid ruler who around 170 B.c. 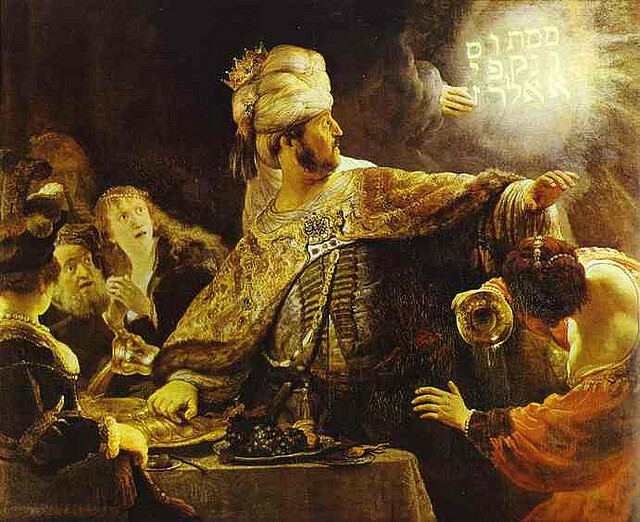 who outlawed Judaism as a religion, ended daily sacrifice in the temple of Jerusalem and desecrated the temple itself. Christian scholars view him as an ancient preview of the antichrist in John’s vision (Book of Revelation). I find it interesting as I ponder it all this morning that Daniel’s vision was not for him. The events of his vision would be fulfilled over several hundred years, and only realized and valued long after his passing. I love his description of the vision as “appalling” and “beyond understanding.” So I have found it to be with life. Over recent years Wendy and I have struggled to accept that some things are given to us which we don’t understand, and some things are not for us. It is a weary business, as Daniel discovered. Nevertheless, I am beginning to value the lesson. This past Sunday I delivered the morning message in the auditorium service at TRC. We are in a series called Hearing the Voice of God and journaling is one of the disciplines that is discussed in the process of tuning into God’s Spirit. In this message I share the story of my own experiences and lessons learned from the discipline of journaling. I have included the powerpoint file, as well. This message is posted hear with the permission of TRC and is intended for personal listening only. The tree you saw, which grew large and strong, with its top touching the sky, visible to the whole earth, with beautiful leaves and abundant fruit, providing food for all, giving shelter to the wild animals, and having nesting places in its branches for the birds— Your Majesty, you are that tree! 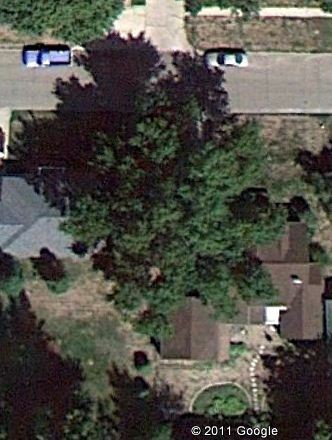 One of the things that I am going to greatly miss here at VW Manor is our mighty oak tree which, we believe, has likely stood sentinel over this property since around the time the Dutch settlers put down their roots in the neighborhood. Each time I drive into the driveway I must be careful to skirt my way around the massive trunk. Its branches have given us shade from the heat of the summer sun. It has wordlessly whispered to my soul regarding permanence, strength, fidelity and my own relative transience. God has a thing for trees. There was the Tree of the Knowledge of Good and Evil in the middle of the Garden of Eden. 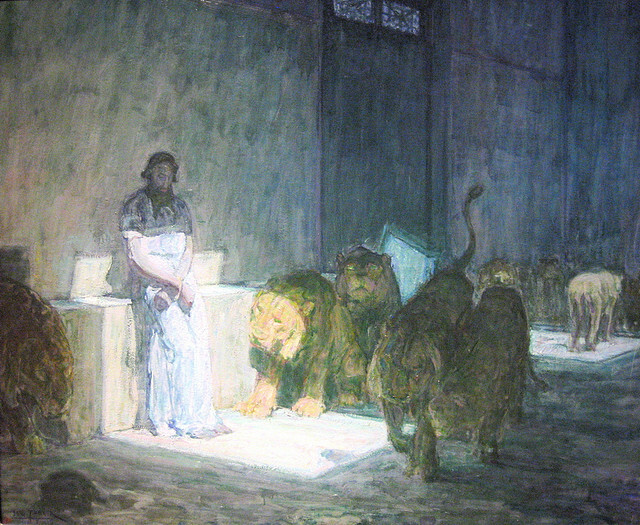 Psalm 1 kicks off that monster volume of lyrics by describing the blessed person as a “tree, planted by rivers of water, which bears fruit in its season, whose leaf doe not wither.” The book of Revelation describes, at the end of all things, the Tree of Life in the middle of a restored Eden. [My Father, the gardener] cuts off every branch in me that bears no fruit, while every branch that does bear fruit he prunes so that it will be even more fruitful. Nebuchadnezzar was a mighty, prosperous, fruitful tree. Yet, he discovered that what takes years to grow can wither very quickly. King Nebuchadnezzar made an image of gold, sixty cubits high and six cubits wide,and set it up on the plain of Dura in the province of Babylon. Last night I kicked off a Wednesday night class in which we’re exploring how God uses metaphor (something that represents something else without using “like” or “as”) to effectively express Himself and communicate Truth. We are also pushing into how we express ourselves metaphorically and how we can use metaphor to become better communicators. My assignment to the class in this first week was to look for metaphors in our daily life and bring one example back to class to share. One of my class-mates asked me for an example. 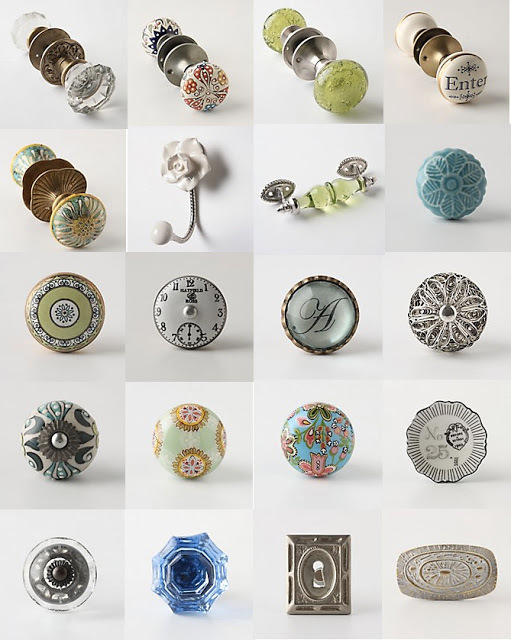 Wendy and I are in the final weeks of watching our house being completed, and yesterday I spent an inordinate amount of time contemplating knobs. We had to pick out the drawer and cabinet pulls for every room in the house. Talk about much ado about nothing. It was not an enjoyable process for me. Nevertheless, as I considered the endless options and how we were ever going to decide, I came back to some guiding principles that have emerged as we have designed our new residence. “Clean, simple lines” is the phrase that always comes to my mind. From the start we have wanted our house to have a peaceful yet beautiful simplicity that invites people in to rest, to dine, to drink, to converse, and to comfortably be. So, I found myself looking for knobs that were simple, with clean lines and yet beautiful in their simplicity. That’s metaphor. The knobs we chose are an expression of the environment we desire our home to be. If we had chosen solid gold decorative knobs encrusted with gems and inlaid painted ceramic highlights we would have been expressing something much different with our choice. Those knobs came to mind again this morning as I read about Nebuchadnezzar’s great statue. How fascinating that in just the previous chapter King Neb has a dream about a statue and Daniel interprets that God is eventually going to replace Neb’s kingdoms with other kingdoms culminating in an eternal one. Now, the king builds a real statue and tells everyone to worship it. Why? Because he can. The statue of his dream and its interpretation rattled his pride, ego, and false sense of power and security. He responds by creating his own statue and making everyone bow and worship it in order to shore up the cracks in his fragile ego. The statue on the plain of Dura expresses is his own version of an edifice complex and becomes a metaphor expressing both his ego, power, as well as his fear and insecurity. Today, I’m thinking about the edifice that Wendy and I are building out on the edge of town. I’m praying that it will express what we have talked about and intended all along: invitation, warmth, beauty, cozy hospitality, creativity, peace, and love.